Click here to see our current sales list. Some of the does listed for sale below are not yet on the page. Please email us (cory@dhart.com)if you are interested in them. Many of the kids, while for sale, are slow to make the list so please inquire if interested. 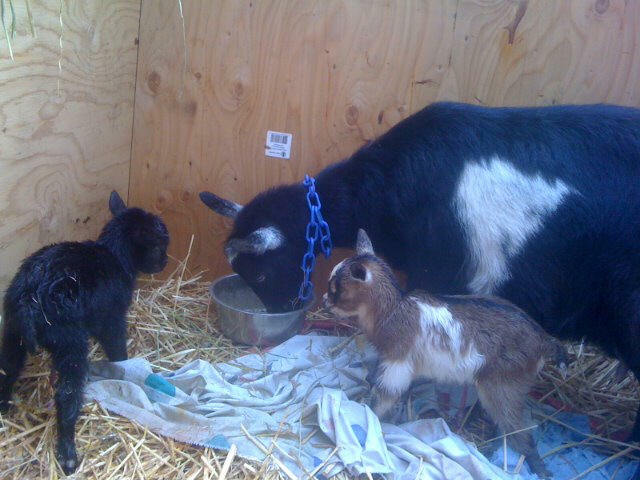 Two Blue-eyed doelings just born!